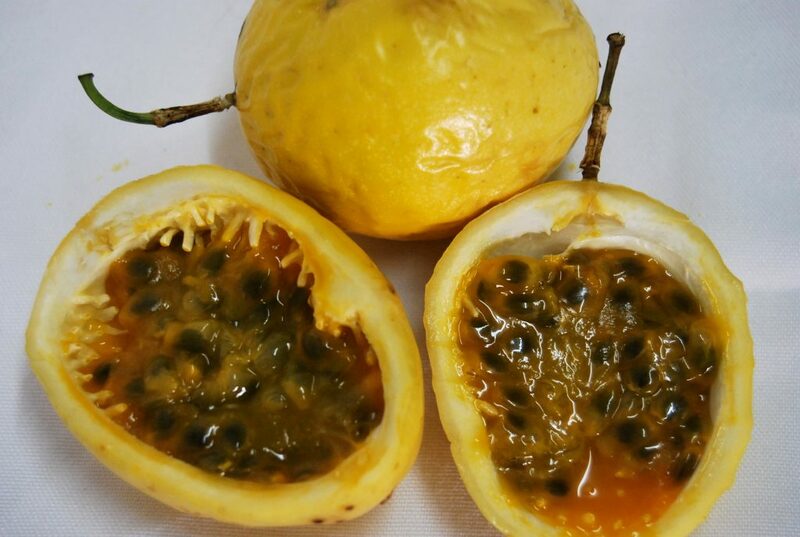 Passion fruit. That is how many people know this Amazonian fruit that we, in Peru, call maracuyá. It has an exuberant flavor, gives energy, and refreshes us with its exotic flavor. It also provides, they say, medicinal benefits. Maracuyá is an important fruit in Peru. From it people make one of our important drinks. 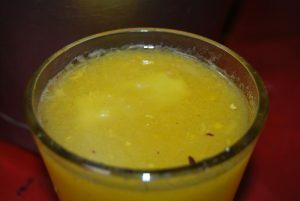 It is hard to imagine entering a popular restaurant without having the choice of maracuyá drink to refresh me. But this fruit has deeper roots in Peru, Not only is it extremely popular, it is also native to our Amazonian region. It grows in warm places around the jungle. 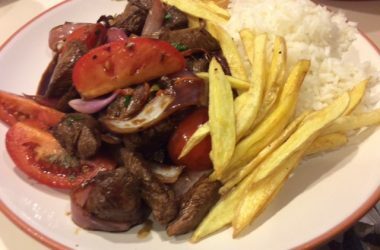 It is commercially produced especially in the north of Peru. In the jungle, a maracuya beverage is the typical drink of our jungle area. It calms thirst on the hot days in the lowlands. In the tropics it seems there is a stand on almost every corner offering maracuyá drink among other soft drinks. This fruit and teas made from its leaves not only has a delicious taste, it is also relaxing, it turns out, since it contains elements that bring us tranquility. It is very easy to make this drink. First you boil the fruit without removing its skin. 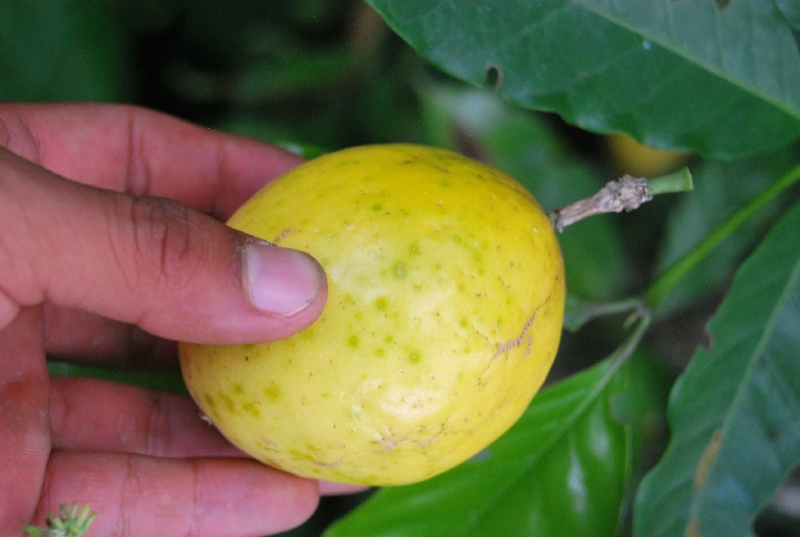 We do not peel it because in the peel are found many of the important properties of the maracuyá. Once it is well boiled we can add sugar to taste in order to balance its tartness. Then we run it through a blender carefully before straining the liquid and letting it cool. This fruit is also often used as a sauce for tiradito and other dishes in the Novo-Andean school of cooking. Strangely, you do not find this fruit easily in the markets of Cuzco. Only a few fruit merchants bring this exotic fruit to the Inca capital. Fruit vendors told me that they bring it from the Peruvian north and it only arrives occasionally. Nevertheless the refreshing drink is always available in our markets and the fruit is used to make juice in the stands and stores. 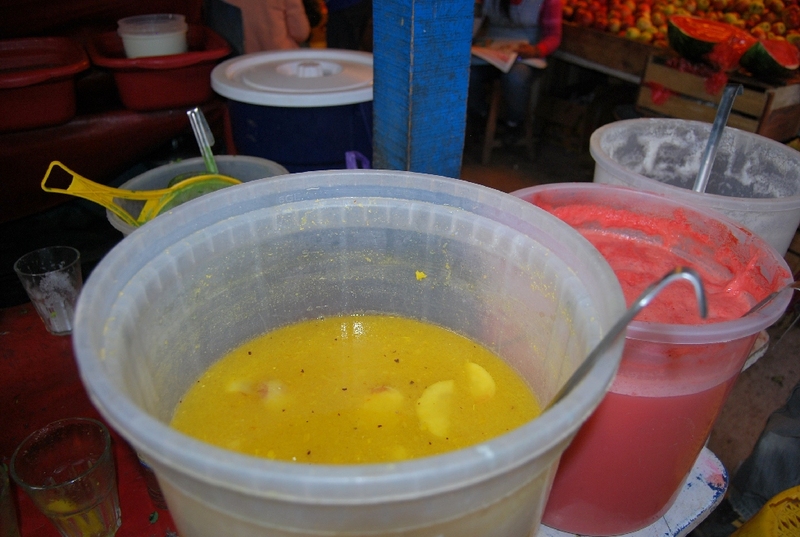 They also sell it as an energizing drink along with quinoa chicha, strawberry, and apple water. 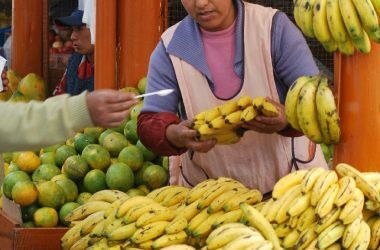 In all the markets you can find small stands, called puestos in Cuzco, where they sell juices or fresh soft drinks made from a whole variety of fruits and flavors. They have large buckets from which they offer refreshing, homemade soft drinks that tempt with their colors all who pass by. It is hard not to taste them, they are so attractive. 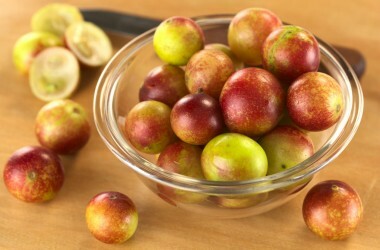 The flavor of this exotic fruit which impassions us, captivates us with its amazonic flavor and takes to exotic lands.